To know about various garments accessories of Radiance Group of company. To identify the problems of the merchandising section of Radiance Group of company. To make some recommendations to solve those problems. To know the Filling system in merchandising. To know the company objective. The aim of the project report is to unfold stepwise all complexities involved in the export business right from receiving order to final realization of export proceeds. It gives a detail idea of how different department is an apparel house work in synchronization so that an export order is proceed. The project would be helpful to fulfill many loopholes of manufacturing, processing and analyzing the export order as well as documentation. Visit very short time in garments industry. At first I have don’t understand many thing. Ideas for new products can be obtained from basic research using a SWOT analysis (Strengths, Weaknesses, Opportunities & Threats), Market and consumer trends, company’s R&D department, competitors, focus groups, employees, salespeople, corporate spies, trade shows, or Ethnographic discovery methods (searching for user patterns and habits) may also be used to get an insight into new product lines or product features. Lots of ideas are being generated about the new product. Out of these ideas many ideas are being implemented. The ideas use to generate in many forms and their generating places are also various. Many reasons are responsible for generation of an idea. v Single-segment strategy – also known as a concentrated strategy. One market segment (not the entire market) is served with one marketing mix. A single-segment approach often is the strategy of choice for smaller companies with limited resources. Selective specialization- this is a multiple-segment strategy, also known as a differentiated strategy. Different marketing mixes are offered to different segments. The product itself may or may not be different – in many cases only the promotional message or distribution channels vary. Product specialization- the firm specializes in a particular product and tailors it to different market segments. Market specialization- the firm specializes in serving a particular market segment and offers that segment an array of different products. Full market coverage – the firm attempts to serve the entire market. This coverage can be achieved by means of either a mass market strategy in which a single undifferentiated marketing mix is offered to the entire market, or by a different. Bangladesh has a long and rich tradition of providing variety of Textiles. The Textile Industry is the second largest Industry after Agriculture in the terms of persons employed. It employees around 38.11 million people. Besides generating employment, it also earns the nations substantial foreign exchange which accounts for nearly one-third of India’s total foreign exchange earnings. The Indian Textile Industry, in itself is highly diversified. It ranges from the handmade traditional textile products in the cottage industry to the highly capital intensive, modern and sophisticated mill sectors and synthetic fiber and manufacturing units. In between these two extremes, lies a vast decentralized power loom and knitting sector. Designing and sampling are the main process in Garment Industry and it as a vital role in attracting buyers. Because the buyers generally places the order after they are satisfied with the quality of the samples. The samples decide the ability of an exporter. The buyer will access the exporter and his organization only by the samples. If the samples are of good quality and with reasonable price naturally the buyers will be forced to place the order. So it is essential that the samples should be innovative and with optimum quality. The purpose of sampling is not only to get bulk orders and also give some additional benefits to the exporters. By doing sampling the exporter can estimate the yarn consumption for developing the fabric, a clear idea on costing more ever the manufacturing difficulties. Besides by doing sampling only the exporter can optimize the processing parameters for mass production, which helps to avoid all kind of bottlenecks. All these works are carried out by the sampling department, which us led by a sampling in charge. Fashion is defined well as the prevailing mode or shape of dress designed by those lead is accepted. In any given period, fashion reflects the social, economic and cultural forces. Our ancient civilization identified status or power with visual elements like clothes, embellishments, head gear, worn by the kings ,ministers, priests or warriors. A fashion remains popular for a few months or years before being replaced by yet another fashion .A product or activity is in fashion or is fashionable during the period of time that a large segment of society accepts it .After a time, however the same product or activity becomes old-fashioned when the majority of people no longer accept it. Sampling is the best way to place an order. Though it is a difficult and time ending process it will help the exporter to get the order from the buyer. The purpose of sampling is not only to get bulk order and also it gives some additional benefits to the exporters. By doing sampling the exporter can estimate the yarn consumption for developing the fabric ,a clear idea on costing and manufacturing difficulties. Besides by doing sampling the exporter can optimize the processing parameters for mass production, which helps to avoid all kinds of bottle necks .The samples, decide the ability of an exporter. The buyers will assess the exporter and his organization only by the samples .If the samples are of good quality and with reasonable price naturally the buyers will be forced to place the order, So it is essential that the samples should be innovative and with optimum quality. There are countless styles, each of which has its own distinctive characteristics and most of which have been created by designers and only by them. Designers need to be aware of the trends and traveling provides them with opportunities to interpret their customer needs .A designer creates and arranges garments and accessories in such a way that they are visually pleasing as well as functional. The process of sample department varies from context to context, and the development process covers a wide range of diverse products from new fibers, fiber blends, new yarns, fabric structures ,finishes and surface effects and all types of made up products such as knitwear, hosiery, cut and sewn garments, household products, technical and medical products. There are different phases of sampling; the first phase covers the development of the initial concept or design idea through its approval by the customer and full review/risk analysis by the development and production teams. The second phase covers the process following acceptance of the first prototype sample and includes the functions of sourcing and ordering component, testing the product and carry out trails once the finalized sample specifications has been drawn up, the third and final phase commences. The phase includes a range of activities that are carried out before large scale or bulk production capacity outside the home producer/developers wherever this is applicable. 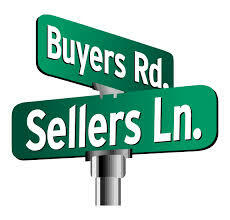 Our buyer targeting services deliver more than just a list of names and addresses to pepper with mailers and phone calls. Instead, they are fine-tuned to align with our integrated marketing approach. We develop sales intelligence that reflects both new opportunities and IT buyers who have already responded to our outreach and may be ready to advance in the sales cycle. Our approach to list development is focused on IT decision-makers in the target market defined by our clients – including such factors as industry, geography and size (in terms of revenue or employees, among others). The On Target service provides a clear starting point for additional marketing activities that exist distinctly within our clients’ parameters, reducing the “noise” that can impact other list-based marketing efforts. With profiling data provided by the prospects themselves, we begin to develop sales intelligence that you can use to make every interaction – from phone call to appointment to sale and implementation – more productive. Through each marketing program we continue to develop the prospect’s profile, because our lead cultivation efforts are designed to deliver increased value as an opportunity matures. If you’re only working from a list of IT buyers, you’re leaving sales opportunities on the table. enter: marketing’s On Target list development service delivers high-value IT buyers that may be new to your company or have expressed clear interest in working with you. With On Target, you’re never starting completely from scratch. We are all tied into story. It is part of being human and can be found in cultures across time and space. It is what resonates. Make it personal. How did you arrive to where you are? Share the journey. What is the background to how you came into existence? It is unique to you and needs to be told. Share the process. If you deliver a service or a product, share how it is made. Illustrate the steps. Talk about the meticulous care you take in sourcing raw materials or working through the finer points of process so quality can shine through. Illustrate problems and success. Your customers need to see themselves in the testimonials of customers you have. The customers you have provide a mirror for prospective customers. Tell their adventure in a way which highlights their problems and how you solved it. Paint the vision. Do you want to have 50 million people using your product? Are you wanting to bring water to every village in southern Africa? How does what you do connect with something larger than all of us. Your story helps the customer know what they are a part of by participating. Create meaning. Whether you use symbols or imagery, make a connection with something simple that stands front and center in the customer experience. Help them think about your story through something ubiquitous and frequent. Make meaning happen. Talk from the heart. Leave out the corporate speak and connect with authenticity. Ensure your tone and copy shine your humanity through. Faceless, sterile corporate identities leave little for the emotions or to build trust. The process of sample department varies from context to context, and the development process covers a wide range of diverse products from new fibers, fiber blends, new yarns, fabric structures ,finishes and surface effects and all types of made up products such as knitwear, hosiery, cut and sewn garments, household products, technical and medical products. These samples are made in smaller sizes for photo shoots intended for editorial and marketing, previously a size 4 but these days maybe a size 0. This may not be necessary if you can pin a garment strategically on the model. If you intend to shoot flats, you may need to cut the smaller size because it’s hard to get close enough to fit garment attributes in the frame. Some people know they will need smaller sizes for photography so they use this as their base size. Ideally the pre-production sample above can be used for sales and marketing. You would have duplicates of the approved pre-production or production sample made for each party. Domestic producers should prioritize the making of the sales samples as the test production run.. Ideally the pre-production sample above can be used for sales and marketing. You would have duplicates of the approved pre-production or production sample made for each party. Domestic producers should prioritize the making of the sales samples as the test production run. Sample lot production of a style in all the intended sizes. Ideally you design sizes to target your customer profile early on in product development. This may not be possible if your silhouettes vary greatly between styles, meaning you will need to test sizes of various styles. To manage the post-purchase stage, it is the job of the marketing team to persuade the potential customer that the product will satisfy his or her needs. Then after having made a purchase, the customer should be encouraged that he or she has made the right decision.